SEATTLE (Waste Advantage): The New York City Council is set to hear testimony on a progressive bill that establishes a curbside program to recycle polystyrene foam across the city. The bill responds to the cries of small business owners who have asked government to help ease the growing financial burdens of doing business in the city. As a minority restaurant operator, I know first-hand how small businesses struggle to keep pace in a competitive industry, meet their bottom lines and provide for their families. Black and Latino entrepreneurs, arguably, face greater challenges than any other business owners — from securing access to capital to navigating government programs that support our communities. We need all the help we can get to ease the burden of doing business every day. 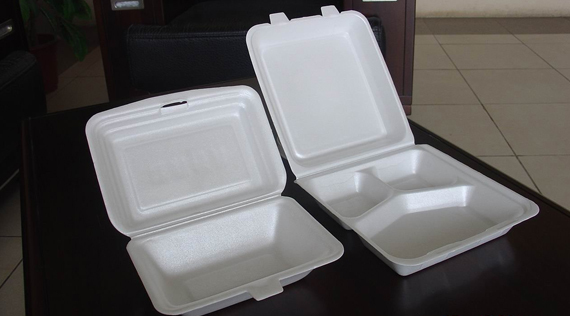 Foam containers are the lifeblood of ethnic restaurants, food vending services and mom and pop shops across the country because of their low cost and insulation of a food’s temperature. For my restaurant alone, 40% of our business is take-out, and for my colleagues who own Chinese, Caribbean and other ethnic restaurants, the take-out and delivery business could be as high as 60% of overall business. We rely on foam products daily — clamshells, Styrofoam cups and food containers — to meet the needs of our customers. We buy these products in bulk — such goods and products, combined with actual food, represent the second biggest expense for a restaurant. A program to recycle 100% percent of polystyrene foam would allow distributors to pass on significant savings on products and reduce disposal costs for grocers, restaurants and small businesses like my family-owned restaurant. My restaurant could save as much as $60,000 per year. Foam has been recycled for more than 20 years commercially and in cities, towns and municipalities across the globe. For instance, more than 65 communities in California have curbside collection to recycle polystyrene foam. These localities are reporting enormous environmental benefits because the door-to-door collection removes foam from our streets, and water and waste streams. And businesses that participate report savings in the tens of thousands annually. Adopting polystyrene foam recycling would create a financial boon for New York City, too. The recycling markets for foam are much more profitable than steel cans, glass and cardboard materials. Using the city’s own waste estimates, a 100% recycling program would generate more than $9 million in annual revenue, and millions more would be saved in landfill avoidance costs. All at no cost to the taxpayers. Conversely, a proposal to ban foam products would impose undue financial burdens on small businesses. According to a 2015 report by the Berkley Research Group, foam alternatives would add costs of more than $51 million annually for consumers, businesses and New York City.